"...very detail-oriented, very in tune with our needs and objectives and very responsive." Brian C. Blair has a national trial practice that includes a broad range of experience in complex commercial litigation, real estate and construction law. 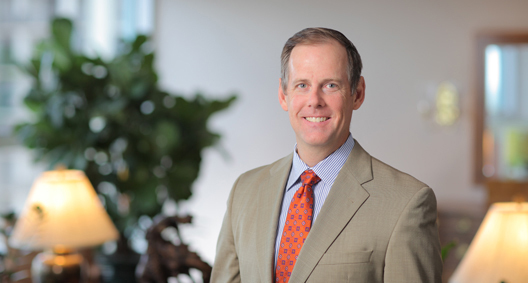 Brian has handled litigation in state and federal courts throughout Florida, and has served as lead counsel in cases in Texas, New York, Georgia, Maryland, Massachusetts, Ohio, New Jersey, Kansas, Oklahoma, South Carolina, Pennsylvania and California. Brian has broad experience in construction and commercial litigation representing and counseling real estate developers, hotel owners, restaurant owners, real estate investment trusts, shopping center owners, national retail chains, general contractors, subcontractors, and a wide variety of business owners through various contract issues, litigation, business torts, real estate litigation and statutory claims. Brian also has experience litigating construction disputes, including claims for construction defects, delay damages, contract disputes, liens and insurance coverage issues. Brian is a frequent lecturer on various litigation topics and has been quoted in numerous publications, such as USA Today, The National Law Journal, Atlanta Business Chronicle, the Orlando Sentinel and Orlando Business Journal. Represented one of the largest metropolitan cities in the South over claims related to defective construction of a water treatment plant built for the Olympic Games. Defended an international general contractor against claims asserted by a roadway subcontractor for public works construction related to widening of a major state highway. Served as lead counsel for a U.S. REIT regarding claims for termination of leases related to co-tenancy issues and lease disputes. Served as lead counsel in defense of a class action brought under Florida's Deceptive and Unfair Trade Practices Act relating to gift cards, resulting in dismissal of action. Served as counsel for multiple publicly traded or worldwide construction companies on construction claims and litigation associated with construction of one of the nation's largest airport terminals and taxiways. Served as national counsel for the largest U.S. REIT relating to defective construction claims associated with multiple large retail malls. Served as lead counsel for multiple top-tier-ranked universities relating to design and construction defects on campus buildings. Defended claims related to design and construction defects for large theme parks. Served as lead counsel for a national class action brought against a retail chain, involving 5,000 stores that were allegedly designed and constructed in violation of Title III of the Americans with Disabilities Act. Served as lead trial counsel in defense of multiple national class actions with purported class members in excess of 54 million people, related to the failure to design and construct facilities in accordance with Title III of the Americans with Disabilities Act. Handled and defended more than 700 claims brought under Title III of the Americans with Disabilities Act or The Fair Housing Act against owners of hotels, theme parks, national retail chain stores and restaurants, malls, shopping centers, office buildings, and apartments and condominiums. Served as lead counsel for a national home builder relating to multimillion-dollar claims for fraud and breach of contract associated with large land tract acquisitions. Represented a Fortune 500 company in asserting claims for civil racketeering against a criminal enterprise consisting of a former executive and family members who devised an intricate marketing scheme to defraud our client out of millions of dollars. Served as lead trial counsel for a worldwide hotel chain in a multimillion-dollar dispute over whether a tract of land owned by the hotelier in the tourist district qualified for an agricultural exemption from property taxes prior to hotel development. Represented a national grocery store chain over a multimillion-dollar lease dispute involving wrongful termination of lease and failure to complete build-out. Served as developer's counsel in a claim for adverse possession of property necessary for the operation of a shopping center. Served as lead trial counsel in obtaining summary judgment for a major cruise ship line for claims which sought to impose millions of dollars in remedial work on large passenger vessels. Defended claims against a publicly traded European shipyard for commissions relating to a $100 million ship refurbishment. Represented the largest retail mall owner in the United States related to evictions of large anchor tenants along with defenses of counterclaims related to lost profits. Obtained summary judgment in favor of a Fortune 500 company defending claims brought by a party seeking lost profits from a billboard lease. Defended major television networks related to claims brought against popular game and children's television shows.